One of the Southern Metal’s biggest influences will return in January with their brand new album No Cross, No Crown. For fans of Corrosion of Conformity, this is particularly good news as it welcomes the long awaited return of Pepper Keenan, the first recorded effort with the band in over ten years. Recorded in North Carolina with their longtime producer John Custer, the band would slowly but surely chip away at the record. A similar idea that the likes of Napalm Death executed on their ferocious Apex Predator. In order to not lose sight of their aggression, the band wanted to have sporadic visits to the studio in order to maintain a focused attack. Now the band have released the record’s first single “Cast The First Stone”, somewhat different to the Slayer jam, here there are all the hallmarks that we’ve come to expect from the Southern bunch. Which by all means is a good thing. Featuring almost Baroness-esque leads, its got that signature grit that we’ve all come to know and love from Corrosion of Conformity. 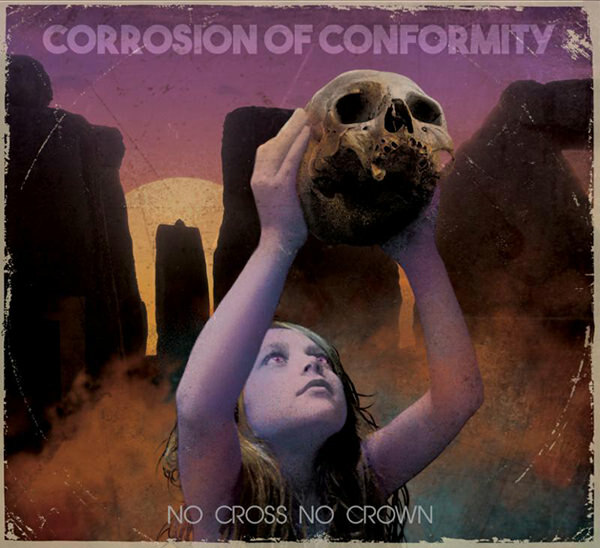 The band’s brand new album No Cross, No Crown is set for a January 12th release via Nuclear Blast.